How Does Content Affect My Business? It seems that everyone is hyper-aware of just how much content surrounds us, everywhere and all the time. Content drives the vast majority of our social lives, of our work lives, of our tangible and intangible possessions. As a business owner, entrepreneur, or developer, content likely makes up a large part of your work or your product. It almost certainly drives your bottom-line, in obvious or not-so-obvious ways. Understanding how to derive the most value from your and your users’ content includes injecting intelligence into places that provide useful inference on your business. What is Image Tagging and Why is it Useful? Image tagging, or computer vision, is a collection of algorithms designed to recognize various kinds of objects in images. This allows for automated content curation and inference, and is a powerful tool for making decisions about image data without the need for manual analysis. Filestack’s Image Tagging API, for example, provides state-of-the-art computer vision with a single HTTP call. Forms generate content, accumulate data, add users, and perform useful surveys. They are an indispensable tool for any business who has users, needs them, or must interact with them. They are also, not coincidentally, often an unpleasant or frustrating user experience. It takes quite the business model or product offering to get users actively excited about filling out forms. Anything your website can do to ease the hassle of filling out text fields, while also gathering the data you need, is an investment worth making. One of those most common form fields associated with data uploads is image tagging. Whether you host image galleries, display profile pictures, compile travel albums, it’s often useful for both you and your end users to have content metadata associated with an uploaded photo. This forces the user to engage critically about the photo and make subjective decisions that may sometimes reflect the most salient content, and other times not. It does not provide a consistent and meaningful way to generate metadata, even with the search suggestions, and detracts from user experience. I know my photo being indexed properly depends on filling out tags well, but it’s an art, not a science, and not generally how I want to spend my time. One way to go around this is by populating the field with a list of suggested tags. This can be accomplished using Filestack’s Picker, our image tagging micro-service, and any general HTML form. 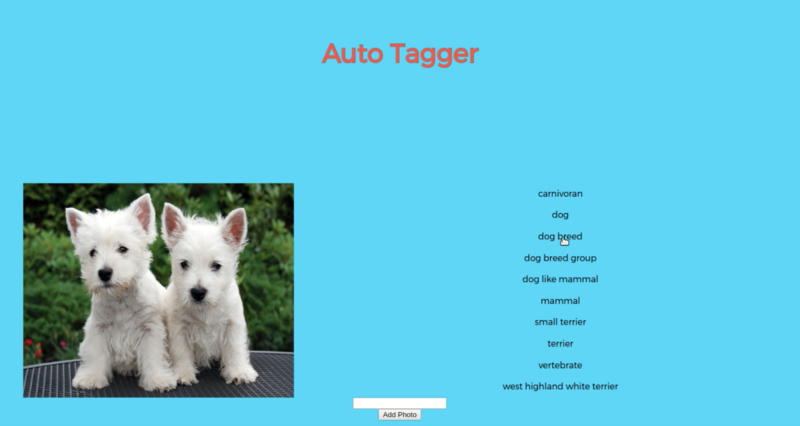 You can see a basic form of this in the following video: by presenting a list of tags to the user and allowing them to click on each to populate an input field, we have taken a normally tedious task and turned it into a few casual clicks. This is one example, but the possibilities are endless. Any place where knowing the content of a photo or document would help you to organize assets, direct sales, target customers and improve user experience would benefit from image tagging. Be sure to get started with a free account and learn more about our image tagging service.